Witness the Bird Migration at the Strait Of Gibraltar! September is coming and it is the best moment to discover one of the Great Nature Events ever seem. Enjoy the Birdwatching migration! After the breeding season in Europe, thousand of birds will cross the Strait of Gibraltar on their way to Africa. They concentrate in high numbers in the area close to Tarifa till the weather conditions allows the safe pass to Africa. Species of raptors, passerines and seabirds can be watched in our tours.The whole month is good for migration, however first 2 weeks of september are the best timing to enjoy the migration and birdwatching. 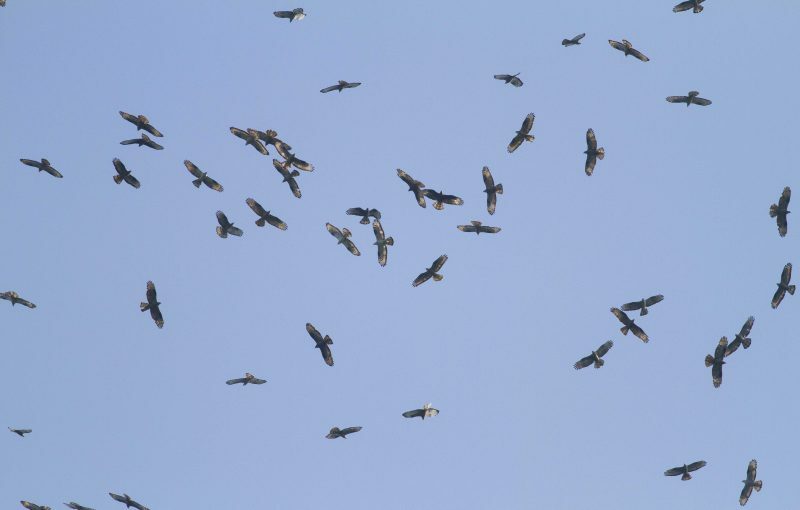 Witness the spectacular show of Short-toed and Booted Eagles migrating, Egyptian Vultures, Black Storks, Honey Buzzards or Rüppel’s Vultures among others are possible to watch at the best places. The Strait of Gibraltar is a really wonderful área with great landscapes and beautiful places for birdwatching! As usual, we custom the trip to your requirements and the weather conditions. Please contact us and we will very happy to prepare an itinerary adappted to your requirements. Combine your Bird Experience with Whalewatching! But we are also in beetwen two seas, Mediterranean Sea and Atlantinc Ocean. The Strait of Gibraltar is a really good place for Whalewatching. 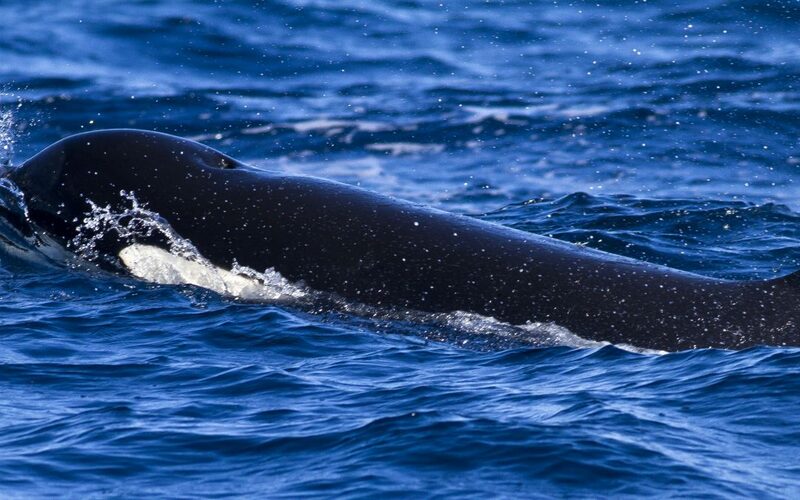 Resident species of Dolphins (Stripped, Common and Bottlenose Dolphins) and Pilot Whales are common to see but it is also possible migrating whales like Sperm Whale, Fin Whale or the amazing Orcas looking for Tuna Fish near Marocco. On the boat we can also enjoy birdwatching of course, Cori’s and Balearic Shearwater, Stormpetrels or Gannets among others are possible to see and don’t forget to check the sky for raptors of storks in the middle of the Strait, with luck it is possible to see them! You can combine Bird and Whale watching in a full day tour at the Strait of Gibraltar. We can arrange everything for your best guided experience in Birdwatching and Whalewatching!